The initials of the Salon create the shape of scissors representing the most recognizable industry tool. As an “ dded bonus” the initials also represent the first letter of each of the Founders names – Michelle and Sheena. The choice of a thin san serif font represent the modern and progressive vibe of the salon. 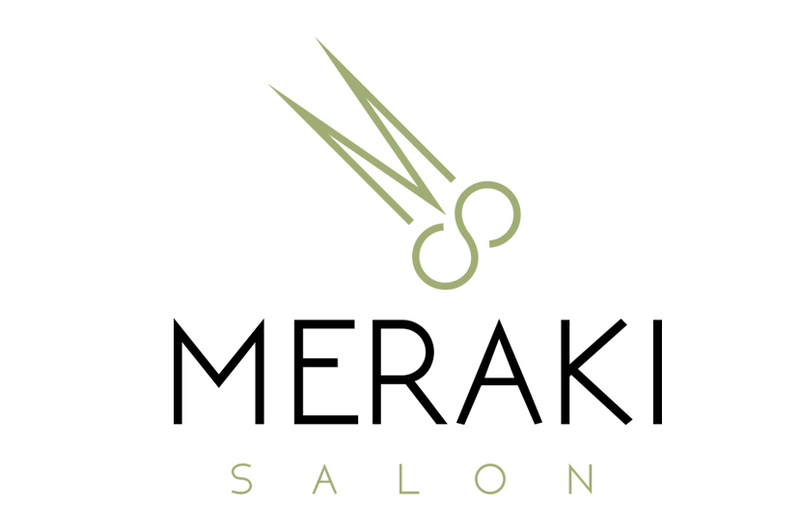 The Meraki Salon logo is reflective of the business’ organic roots. Generate Design also worked on branding for Meraki Salon, a beauty salon that uses only all-natural, organic products. It was important that we used a color palette and font that matched this narrative without compromising the modernity and freshness of this new logo.